I thought I’d share a few thoughts with you this evening, last night and the night before I did some extensive reading of “Louisa May Alcott:A Personal Biography” and as I kept reading, I found myself terribly disappointed in the father’s role in Louisa’s life. He was what we would consider today a “dead beat” Dad, at least I think so, while Ms. Cheever I feel doesn’t go into extensive detail about the relationship between Louisa and her father, she does highlight his role as a father and husband within the family. I am finding though, the author is trying to single these two people out through her telling of Louisa’s life. I constantly felt disappointed in his absence which like Ms. Cheever explains, may be the reason Louisa didn’t have a strong father character in “Little Women” because it was Abba Alcott who was the breadwinner, the one who fought for the family when it was bad, when it was hard. 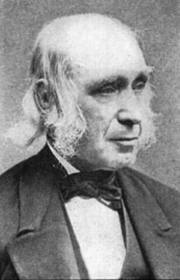 When Bronson Alcott was off dreaming, it was Abba who managed to keep the family together. I thought it was extremely progressive of Abba to take a job in Boston to keep the family afloat from poverty, in the 19th century it was a rarity to see the woman go to work, they weren’t given a voice during that time. But I guess in Abba’s case, what had to be done needed to be done. I admire her for that. I have always felt I could relate to some of my favorite authors such as Louisa, Jane Austen, Elizabeth Gilbert. Growing up I had a father who was absent in many ways. Unlike Bronson, my father worked extremely hard to put food on the table and I will always respect him for that, but he was never there for my brother and I emotionally and still isn’t today. He was always off dreaming through his music. While that too helped pay the bills, he neglected knowing his kids on the level he should have. Connection was never found. It was my mother who ran a household, went to school full-time and had a full-time job. She made sure the lights were always on and that we were well taken care of both physically and emotionally. If I were like Louisa writing a book of my own, I too, probably wouldn’t include my own father. I guess my resentment toward Bronson could in some way be re-directed to my own. 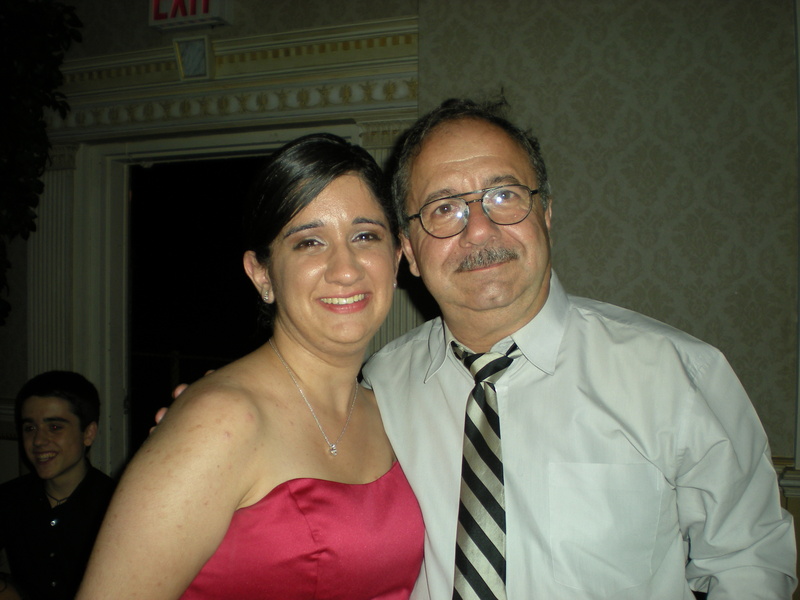 My brother said not to long ago, that I was my father’s favorite because I was older, but I never felt that connection. I knew a father who was only partly there, a father who knew how to discipline and criticize rather than console and understand. Like Abba, my mother always made father’s shortcomings acceptable. It is a wonder Louisa never married, how could she feel any real connection to any man, when the one man didn’t know how to a strong role model in her life. If you can bear to read another Alcott book so soon, I’d HIGHLY recommend Eden’s Outcasts: The Story of Louisa May Alcott and Her Father by John Matteson. It’s one of the rare biographies that reduced me to tears with its beautiful language and its fearless look at the dysfunctional relationship between Louy and Bronson. Well-deserving of its Pulitzer Prize, I’d say, and really illuminating the ways in which Bronson was both present and absent for Louisa. Thanks so much for blogging about this! Thank you so much for the book suggestion! I will definitely have to make a trip to the bookstore again soon. (I am always there anyway LOL). It really is illuminating to see a father and daughter relationship between Louisa and Bronson. It really gives you an inside look to her decisions she made later in life with both her book and her personal life. I am so glad you enjoyed this post! Thanks again! What an interesting post! I can never get enough of this kind of conversation about Louisa’s life. These relationships were so complex, so important to her writing. 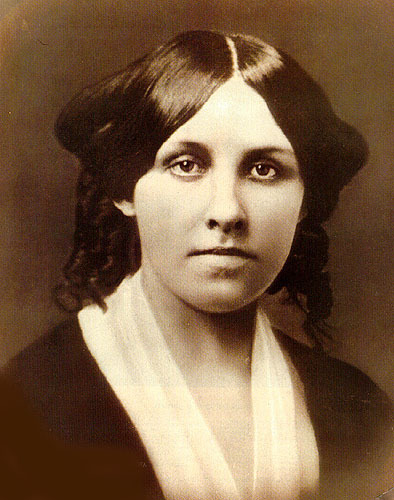 Another great biography is Martha Saxton’s Louisa May Alcott. She goes into great detail (some would say speculation) about how the difficulties with Bronson may later have played a role in L’s decision not marry. It was a major source for me in writing my novel. Thank You so much for your response! I am thoroughly enjoying this. As I was reading from the beginning I began to get frustrated with his role in Louisa’s and his family’s life. My idea of a father figure during that time period is “take charge, be the bread winner” and that is a character he truly is not. I will definitely check out your book suggestion! It is interesting to see how father’s role in their daughter’s life can really play a part her decisions of whether to marry or not! What is your novel? Has it been published yet? If you’d like when it does or if it has already, I’d love to feature it in my blog! Or even if you have a book you would like to speak about, I am welcoming guest bloggers! Please check out my Facebook page – Books From My Closet and Twitter @BooksFrMyCloset. Thanks again! I just realized I have your book! I can’t wait to read it! Thanks so much! I’d invite you to come on over to my blog which is exclusively about Louisa May Alcott and those related to her life and work. It’s called Louisa May Alcott is My Passion (and it will have a familiar feel about it 😉 – the URL is http://louisamayalcottismy passion.wordpress.com. Hmmm, I can see that link didn’t work – if you click on my name, it will take you to my blog. Enjoyed your post very much. I am in the thick of reading Richard Francis’ book on Fruitlands and am tearing my hair out over Bronson! Such a mass of contradictions yet obviously a very charismatic man with interesting ideas. He must have been pretty difficult to live with though! Eden’s Outcasts is on my list, I’ve heard so many good things about this book. Kelly’s book, “The Lost Summer of Louisa May Alcott” is a wonderful read. That’s what started my reading binge last spring and it hasn’t let up yet! I blog about Louisa regularly – my blog is called Louisa May Alcott is My Passion – if you click on my name, it’ll take you to the blog. I love talking about Louisa! Thank You so much! I was constantly in frustrations about Bronson from the beginning. I am sure he was a good man, very much a dreamer from the way I interpreted it. He must have been very difficult to live with, I mean the family moved over 20 times before moving to Orchard House. That is just crazy. And if I were Emerson, I’d give up on giving the man money. I believe I just subscribed to your blog, if not I will again! (I am still very new to this WordPress) LOL. Thanks so much for your response!